The rates above are available for Church youth groups, sports teams and other non-profit groups. We will ask to see a business card or other organization id to verify eligibility. For smaller groups the offer can be used during regular business hours, but must be prescheduled. Larger groups can reserve our whole facility! 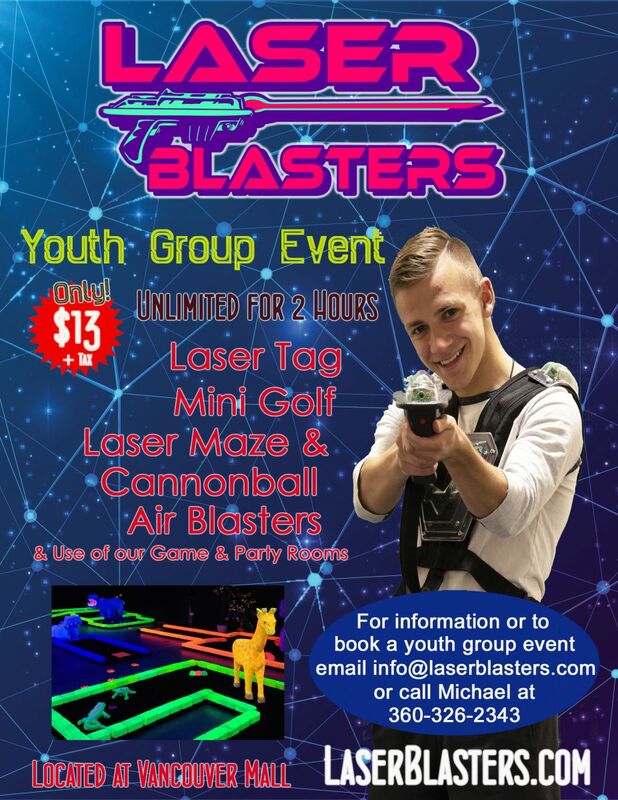 When a whole facility event is scheduled, groups will have exclusive use of our Laser Tag Arena, Black Light Mini Golf, Laser Maze, Cannonball Air Blasters and our Game Room including fun games like Air Hockey, Foos Ball, Skee Ball & more! For events during regular business hours, use of our game and party room is not guaranteed as a birthday party may be booked during the time your group comes in. If you wish to guarantee use of those rooms, we offer a package that includes two games of Laser Tag, or one game of Laser Tag and one game of Mini Golf for up to 16 people. 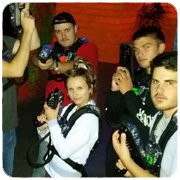 This package also includes use of our game room including use of Cannonball Air Blasters and our Laser Maze. This package can be booked by choosing the package below.